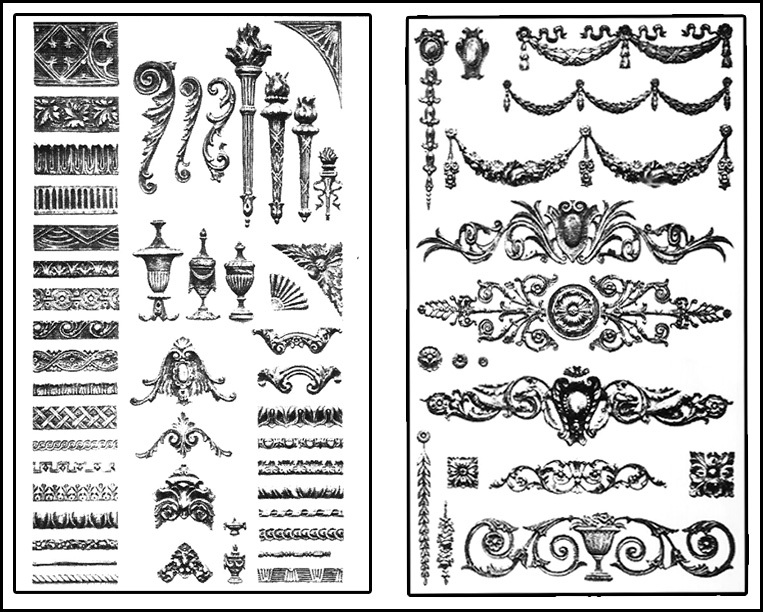 In addition, we specialize in restoration work doing hand crafted wood turning of every description, including duplicating existing detail mouldings for every purpose, either straight or curved, to patterns from sample or detail. Enhance you lighting fixtures with beautiful ceiling medallion. Made of applied compo with fine detail and exceptional relief on wood panel on a wood panel any diameter up to 48”. Available also in square, oblong, oval or diamond shapes. To your size and specifications. (others designs available). A few composition ornaments selected from our display of several thousand patterns. They cover every period of architecture and by simple applications provide limitless possibilities for developing the unusual in design for door faces, door trims, dado panels, chair rails, cornices furniture, etc. Copyright 2010 © American Wood Column Corp.